Foxes really shines in glory while we listen to her solid debut record. Os anjos falam pela sua boca,amém. 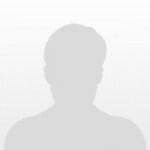 ► BEST TRACKS: "Holding Onto Heaven" and "Glorious"
The songwriting and sound are interesting enough for me. I just think she needs to show her personality more through her songs. 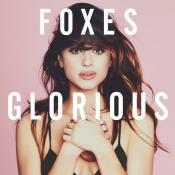 Glorious may not be that album full of hymns, or even famous songs, but it seems Foxes put a little of themselves in each track to make it special to her way, one different from the other, an amazing album full of great songs and of course Foxes really shows how to be glorious. Another pretty face - with an interesting voice - to be thrown in the pop arena. Glorious is a perfect pop album. But sadly underrated. Best tracks: Talking To Ghosts, Let Go For Tonight, Night Glo, In Her Arms (Deluxe).